You’re invited to experience the joy, freedom and inspiration of song at your local With One Voice choir! 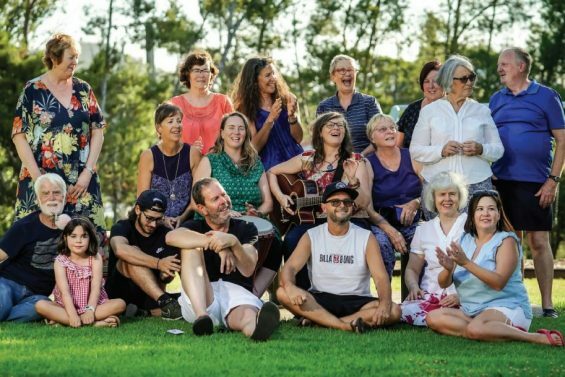 Through singing, supper and The Wish List, we build supportive communities better-placed to face challenges like mental illness, social isolation, cultural tension and unemployment. Whether or not you think you can sing, you will be warmly welcomed at With One Voice Kingston Park and encouraged to join in and discover the voice you never knew you had. Read the article about With One Voice Kingston Park in the Sunday Mail. Watch this space as new updates will be posted here soon! The choir will take a break for school holidays. No choir rehearsal on 17th or 24th April 2019.